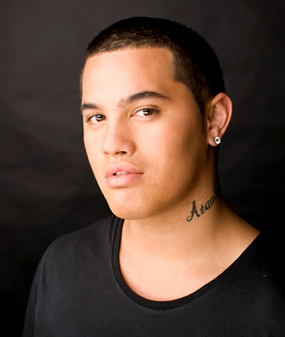 Stan Walker won Australian Idol in 2009. His debut single was Black Box which was a number one in New Zealand and it got to number 2 in Australia. He has had 4 other solo singles since then but this is the one I like the most. Stuck Like Glue by Sugarland has been around for months now but I only discovered it recently. The video always makes me smile. In 2010 Magnetic Man had two top 20 hits in the UK chart. I need Air got to number 10 and the follow up single Perfect Stranger made it to number 16. 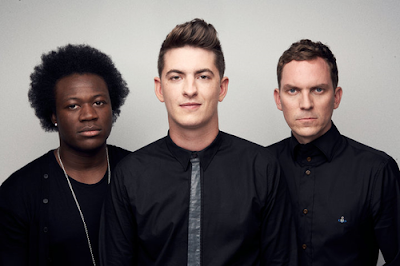 Their newest single Getting Nowhere features John Legend on vocals and is released in February. John Legend has had three UK top 40 singles, the most successful being Ordinary People which got to number 27 back in 2005. The video to Getting Nowhere is one of the more interesting ones released at the moment. It also reminds me of the nuns in the 70's TV series Tales of the Unexpected. The single version of Alexis Jordan's Good Girl is very good pop indeed but the Freemasons remix makes it even better and that made it my favourite song of all week. I was too tired to post my chart yesterday evening so it made me smile to see both the video and Freemasons mix featured here on Popjustice this morning. I do hope her record producers don't decide to send her down the Rihanna/ Ke$ha road in relation to both her music and image. Other songs that caught my interest are Going Nowhere by Magnetic man featuring John Legend and The Last Dance by Clare Maguire. I'm already bored of Britney's Hold it Against Me but I think On The Floor by Jennifer Lopez could become one of those songs I'll either love or hate. I dislike Pitbull with a passion and I think the song would be better without him. Strike Curious Poses Chart 24-1-2011 1(-): Good Girl (Freemasons remix) - Alexis Jordan 2(2): Give In To Me - Leighton Meester & Garrett Hedlund 3(1 ): Popalicious! - Robin Skouteris 4(3 ): Rolling in the Deep - Adele 5(6 ): Limit to your Love - James Blake 6(5): Me and you - Nero 7(4): I'm Here - Jennifer Hudson 8(-): Getting Nowhere - Magnetic Man featuring John Legend 9(17): Happiness - Alexis Jordan 10(7 ):Smoke a little Smoke - Eric Church 11(13) :The Art Of Love - Guy Sebastian featuring Jordin Sparks 12(14 ):The Way We Were - Beyonce 13(9 ): Love Long Distance - The Gossip 14(11 ): Somebody To Love Me - Mark Ronson featuring Boy George 15(12 ): Who's That Girl - Guy Sebastian featuring Eve 16(19 ): Black Box - Stan Walker 17(16 ): Something in the Water - Brooke Fraser 18(8 ): Get Outta My Way - Kylie Minogue 19(21 ): Stuck Like Glue - Sugarland 20( 20):Punching in a dream - The Naked And Famous 21(10 ): My House - Hercules & Love Affair 22(15): young Blood - The Naked and Famous 23(22): Stay - Hurts 24 (-): On The Floor - Jennifer Lopez featuring Pitbull 25(30): Jigsaw - Ryan Sheridan 26(- ): The Last Dance - Clare Maguire 27(18): Hold It against Me - Britney Spears 28(23): your Song - Ellie Goulding 29( 25):Sunday - Hurts 30(28 ):Pretty Girl Rock - Keri Hilson Here's Alexis Jordan and the Freemasons remix of Good Girl. And here's the single version.